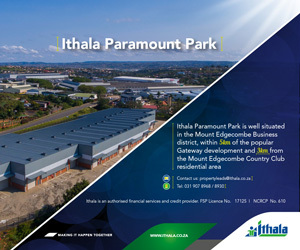 In its commitment to actively advance the commercial property interests within the property industry, the South African Property Owners Association (SAPOA)commissioned the services of Urban-Econ Development Economists to embark on an analysis of the commercial private property industry in the Mpumalanga province, with specific reference to the City of Mbombela Local Municipality. The Mpumalanga government is on a drive to link the capital city to the nearby town of White River. The centrepiece of the World Cup is complete but the outer perimeter, in the words of Danny Jordaan, is 'in the process of being beautified'. Yvonne Nkosi smiled from under her pink cap, beaming at her contribution to South Africa's World Cup dreams as she applies silicone to a seating beam in Nelspruit's new football stadium. "Before, I was working for peanuts," the 22-year-old said. "Somebody told me about work here, so I came here. I want to see what's going to happen in 2010. I want to go to a game." Wearing blue coveralls and steel-toed shoes, Nkosi said she went for a two-week course to learn how to apply silicone to joints in the stadium. "We are happy with the World Cup," she said. She is among 1,000 workers in the football complex being built in Nelspruit, a northeastern town also known as Mbombela. On the roof, near the cranes and in the skyboxes, men and women look like ants on a hill as they work to complete the stadium for FIFA by December. About 20,000 people are currently working on 10 stadiums across South Africa for the World Cup, a relief in a country where around 40% of the work force is unemployed. The municipality of Mbombela, which includes Nelspruit, expects to see 17,000 jobs created between 2005 and 2010 tied to road construction and the building of the 46,000-seat stadium. Between 60% and 70% of those jobs are going to people from around Nelspruit, which has more than 600,000 people in the metro area, at the gateway to the world-famous Kruger wild game park. Leon Botha, the stadium's chief engineer, said workers were first recruited from the nearby township of Matsafeni. "If they don't have specific skills or enough workers, we move outside Matsafeni but into Mbombela. Only then, we go outside to recruit mostly specialised workers," Botha said. Labour groups praised the efforts at employing locals, but worry about their future after 2010. "We appreciate that the local community was employed, but part of the commitment was to develop and empower the people. The stadium is a short-term project," said George Ledwaba, local representative of the National Union of Mineworkers. "Any training should have a long term benefit," he said. "You not only learn how to push the wire, they should teach us how to electrify." Wage disputes have also caused several strikes at the stadiums in Nelspruit, Cape Town and Durban. "I don't even think about 2010 any more, because too many things are going wrong," said 26-year-old Charles Chiloane, a welder who said his euphoria at finding a job in 2007 has already worn off. He's working for 14.48 rand (€1.10, $1.40) an hour, which is nearly double his starting salary. Another grievance: for two years, the children of Matsafeni have been going to school in containers, after their original campus located at the foot of the construction site was turned into offices for the builders. "They promised us a new school. We are still waiting for it," said community leader James Maseko, who said the community also still needs improved roads, electricity and clean water. The city has promised to finish the new school, but only after the World Cup. "They should have built a college rather than a stadium," said Florenc Phoku (EDS: correct) as she hoed in her garden outside her neat wooden house that had neither water nor electricity. "They're spending millions but they don't employ us," she said. At more than 40 years old, she had already exceeded the maximum age to work at the 920-million-rand ($90.2 million, €69.4 million). She is still without work. Outside the construction site, many people wait patiently every day in hope of work, including footballer and carpenter Bheka Maziwa. "I didn't put my strength into it, so I want to be sure this thing is all right," he joked of the stadium, where he will not have the means to attend a game when the tournament comes in 500 days.